Well finally the World cup season has begun. I can’t remember the last time I have started my race season so late. 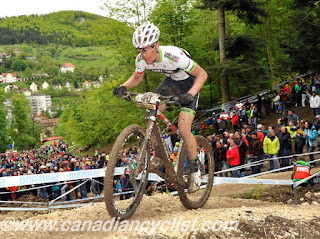 Before World Cup 1 in Albstadt the only racing I had done since dabbling in Cyclocross was Sea Otter one month previously. The first two world cups were an eye opener for me, not because the level of competition or my own strength was much different, but because it became so much clearer to me how my goals and mental space affect my performance. I know this shouldn’t seem like a new topic, I often write about goal setting and focus, but there is nothing like back to back race weekends with two totally different head spaces to bring real meaning to words. Having changed up my training and approaching racing with a “racing to build confidence” approach I wasn’t my typical fired up “I’m going to win this thing” self. Not setting the goal of racing to win, I neglected to set another goal that was meaningful and inspiring. 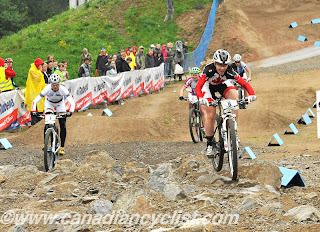 I had done this preparation for Sea Otter and was happy with the results, my racing and form. Not having a goal that inspired me meant I wasn’t excited, I hadn’t drawn up a plan of attack for my race, I wasn’t primed and somehow I thought it would just click on in the race. I set myself up to participate and that’s what I did. I woke up that morning feeling foggy and sluggish and the fog never lifted. 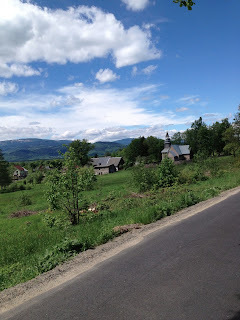 After the initial adrenalin of the start I settled into following wheels, my legs sluggishly turned over and rather than seizing every opportunity to move to the front, I watched the race ride away from me while fighting a mental battle to move forward. I new I was pushing too big of gears, that my cadence was too low. Rather than willing myself to “just go faster damn it!”, I was able to switch focus to improved technique to salvage my race and finish 12th. When you have an off race, particularly following a disappointing end of season it would be easy to convince yourself that is “just where you are”. But I knew that would be a lie and if that was where I was at then I had to do something about it because it wasn’t where I wanted to be. I knew I didn’t approach the race like me at my best. I had no fire and my ride was uninspired. Attitude is under my control. Racing without striving for excellence is boring and unrewarding. I love racing because it is engaging, hard and feels so incredible when it comes together. That is what I wanted and what I needed to bring into Czech, fire, desire and raw racing. 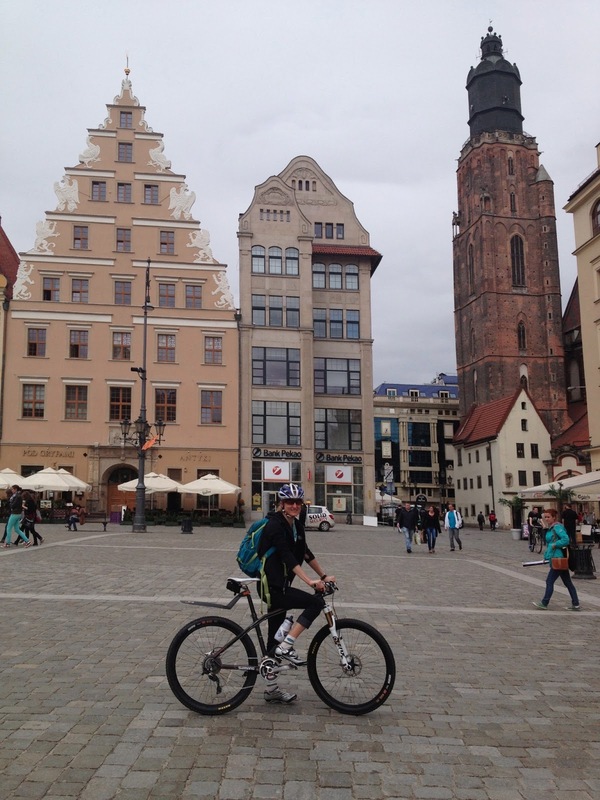 For Czech I knew where I wanted to be riding, had a race plan and tackled my self-doubt demons to send them packing. When you are in the right headspace to ride well you know it long before you line up to race. I was smiling leading into Czech. It was going to be good, I was looking forward to it. The race got off to a good start and I held a decent position into the first single track ... two positions further up would have been ideal (lost 15 seconds to the leaders stuck in traffic). Rather than catching a draft and sitting wheels though I started attacking through the start finish. Every opportunity to move up had to be seized. That lap I posted the fastest women’s lap of the day and the only sub 15 min women’s lap (just barely 14:59!). I was on charge mode and soon enough had connected with the front of the race. I got confidence that I am that rider that can set a blistering pace and break apart a world class field. Had I timed my efforts a little more, ensured I always lead in the singletrack the race may have turned out a little differently, but I always need a couple challenging races to fine tune. The important thing was that I was up there, wanted more and know that I can achieve more. The race-winning move came on lap 4 of 5. I had attacked again…on a not super smart section to attack and as soon as my pace slowed Tanja Zackelj attacked. Maja, Eva and I were all there, but none of us had the leg speed to go with her. It was pretty impressive. Maja regrouped and set off in chase while Eva followed me into the next climb. Being thrown off by the change of events I took a bit to regroup and settled into chase mode. Eva flatted shortly after and it became an uneventful ride to the finish, which can be ok.
Tanja grabbed her first World cup win after posting the fastest lap times for the last 3 laps, Maja was second sliding out in the final corner in what was shaping up to be a sprint finish and I was back on a World Cup podiumJ. Alexandra Engen took 4th and Eva got a wheel change and was back out to claim 5th. 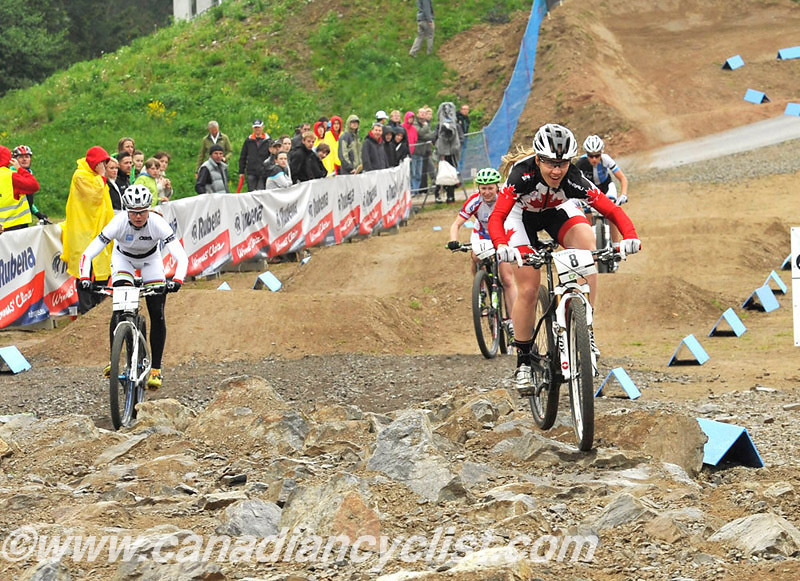 It was a solid weekend for Canada with a 3rd and 9th in the women’s race (Myself and Emily Batty) and a 5th (Max Plaxton) and 7th (Geoff Kabush) in the mens’. Luna took second overall in the team rankings with Katerina’s 7th in front of a home crowd and Georgia’s 24th. ClifBar owner's Gary and Kit joined us in Czech for some pretty exciting xco racing. Thanks for the preride ALN. So fun to ride with girls that love attacking descents!